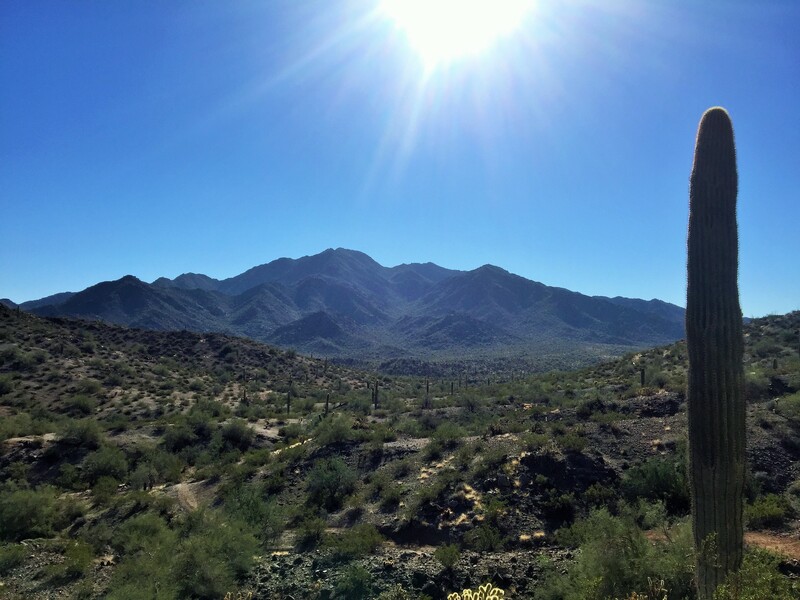 The Butterfield Trail is located in the Estrella Mountains in Goodyear, Arizona. In 1858 the Butterfield Stagecoach Line traveled thru this mountain range carrying passengers and mail from as far as Tennessee to California. The trailhead is located inside the Estrella Mountain Regional Park. There is a $6 entrance fee. As you enter the park you will follow the road until you reach the horse arena (which is the end of the road). You will see the road fork and if you stay on the paved path to the right, it will take you to the parking lot area. To get onto Butterfield trail, you will first need to get on Toothaker trail from the parking lot and travel south (left). You will soon run into the sign for the Butterfield trail. This is a really good hike for a beginner hiker who is looking for a longer easier trail. As you can see from the map, this trail round trip is 4.2 miles. It’s a flatter trail that will take you straight into the heart of the Estrella Mountains. It offers gorgeous views of the mountains and also of the airport in the city of Goodyear. The trail is kept up and easy to follow. It does goes thru a lot of washes so when passing one of the washes, just pay attention to where the trail picks up again. We at one point had accidentally started to follow the wash and had to back track to the trail again. This trail would also be good for beginner’s mountain biking. 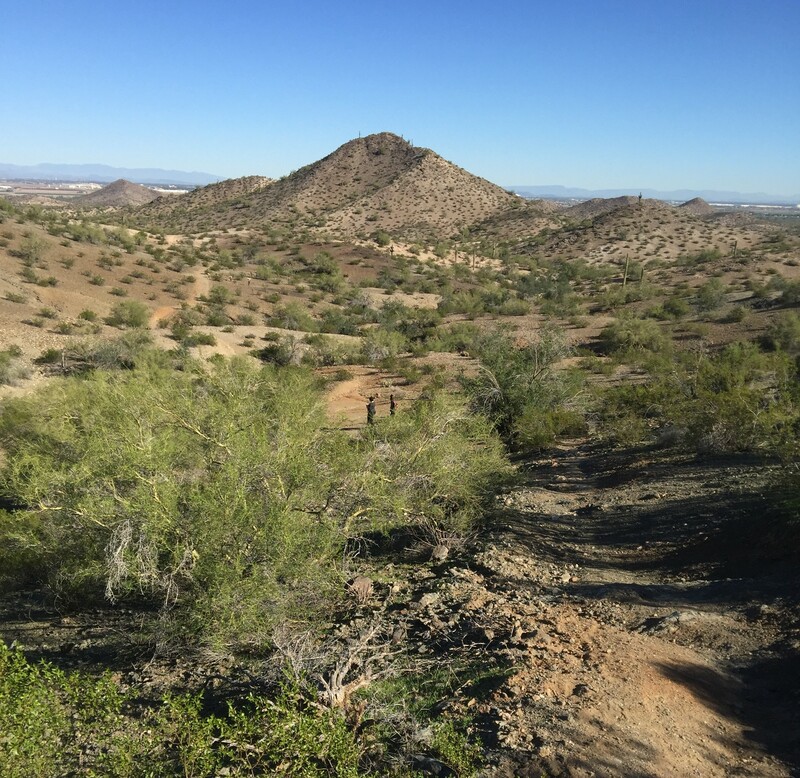 For more information about the trails in the Estrella Mountain Regional Park click here. Good spot to grab some grub and a beer afterwards is the Saddle Mountain Brewing Company.